There are many methods of ensuring that pests are fully eradicated and, when all else fails, you can rely on our fumigation experts to do the job to perfection. If you are currently suffering with a termite or other pest infestation, you might be running out of options. 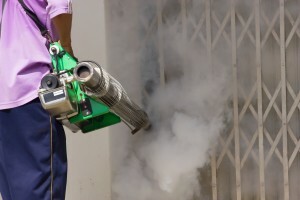 Fumigation services can once again make your home pest free. It is utilized for control of pests in buildings, soil, grain and produce, and is also used during processing of goods to be imported or exported to prevent transfer of exotic organisms. There are different types of fumigation services and the one you choose will very much depend on the type of infestation and the extent of the problem. In general terms, there are two types of fumigation; either by poisonous gas or pesticides. Because the most commonly used fumigants are toxic to all forms of life, it is possible to control most pests using this one treatment method. It is also the most rapid form of treatment method as compared to the normal baiting and residual spraying method. We use the most modern appliances and solutions.